Tarja’s album Henkäys Ikuisuudesta marks this year its 10th anniversary and as part of the celebrations the album will be soon released on vinyl for the first time. The most beloved Finnish Christmas album will be released as a silver/red vinyl limited edition, on sale exclusively on the official Tarja Webshop. You have the chance to preorder it already now and be sure to find your copy under the Christmas tree! 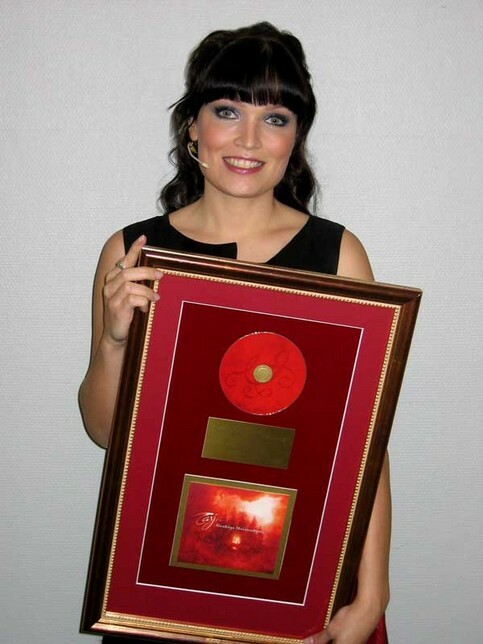 Tarja´s “Henkäys Ikuisuudesta” album has reached gold award status in Finland. “The news about the gold record is really incredible and a precious thing to me. Especially to receive it now with this Christmas album, it feels very rewarding. Thank you for your support! While we all are waiting for the Christmas to come, have a good time. See you soon in my concerts”. 1) Why did you record a Christmas album? I have many lovely memories from my childhood. I used to sing Christmas songs with my family every Xmas and we also used to go to many concerts. It is the time of year when you have your family and loved ones around you. Also, music seems to have an important role during this time. Even though there are other kinds of songs than only traditional Finnish Xmas songs on the album, I feel that this album was made for Finnish people. In many other countries, Christmas is seen in a different way or it is experienced in a different way. I had the idea to release an album only in Finland and in Argentina - in Argentina, because it is my other home country. The idea to release the album in other countries felt strange, because that might have led me to make some compromises in the song selection. Especially when you consider these Finnish traditional Xmas songs. This album is my way to thank the Finnish people for so many years of lasting support. Like many rock/pop artists are making classical or electronic albums as their side projects or classical artists are doing pop albums, I decided to make a Christmas album. This is my side project. So this album is not an example of the music style that I am going to do in my future. My main goal was to make an album that would represent the music I would like to listen to myself during Christmas time. 2) What kind of music style does the album represent? Can we expect a rock album or a classical one? The album reflects a theme of Christmas, but I also wanted to record songs that are timeless. Those songs are not only talking about Xmas, but are talking about any time of the year, any moment. There are traditional Finnish Xmas songs, international Xmas songs and also some classical pieces on the album. The atmosphere is changing between the songs. The idea of making a Christmas album came in 2003. At that moment, I didn’t have enough time to make a whole album, so I recorded only two traditional Finnish Christmas songs “En etsi valtaa, loistoa” and “Kun joulu on” songs for the “Yhden enkelin unelma” Xmas single that was released in Christmas 2004. Having this single in hand, I got an idea to perform some concerts in Finland and Europe. 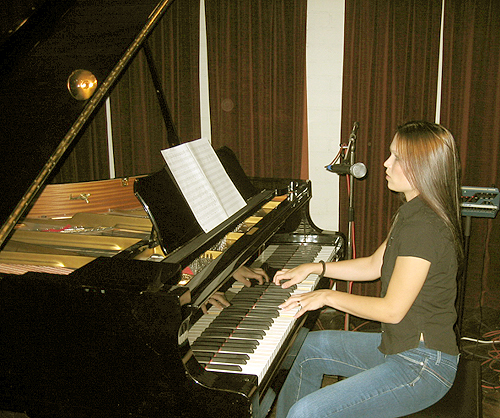 At the end of 2005, I performed a couple of concerts in Finland and in Barcelona, Romania and Germany. The tour was for me, a very warm and wonderful experience. A lot of people attended the concerts and the tour also helped me to see which songs were received better by the people. After this, it was easier for me to choose the final songs for the album. Now, at the end of this year and after the release of the “Henkäys Ikuisuudesta” Christmas album, this Xmas project will finally see its end. I won’t be making a new Xmas album next year, or performing Xmas concerts again soon. 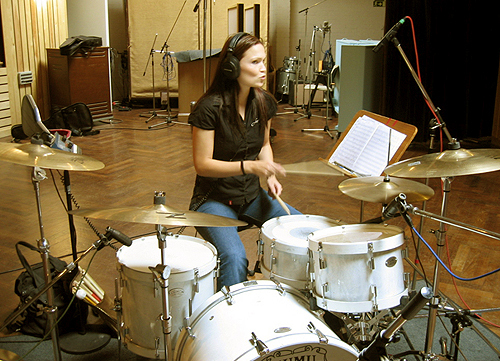 3) Tell us something about the recording sessions and how it was for you to work with producer Esa Nieminen? 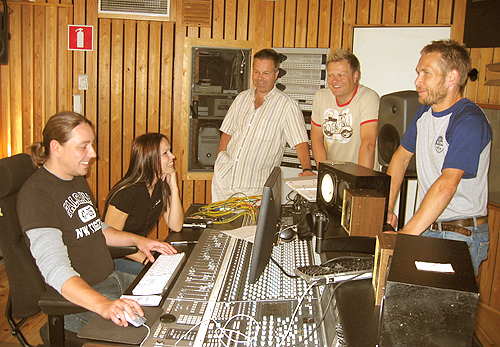 The process for this album started some years ago and at that time I was talking with Esa Nieminen about the arrangements and the possible songs. Esa has been helping me through the whole process of the album. 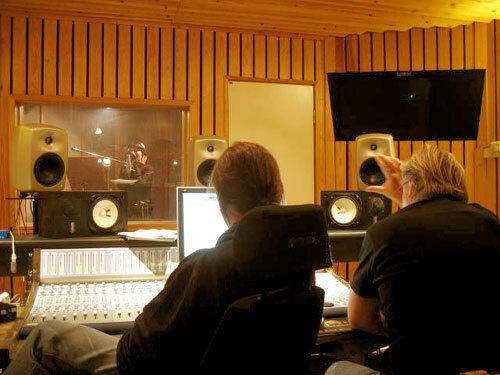 As a singer, I am used to going to the studio to record my vocal parts at the end of the recording period when every other instrument was already recorded. But for this album, I had the chance to start the recordings myself on the first day, when I sang with my pianist and also to end the recording on the last day. 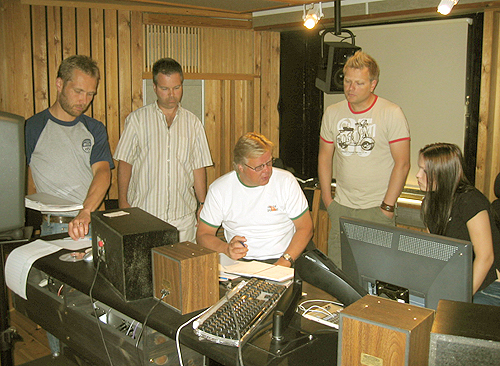 In addition, I was sometimes following the recording sessions of other musicians and when Jetro Vainio was mixing the album, I assisted in the whole mixing process in the studio with Jetro and Esa. I have never followed the process of making an album closely before, so it was great. The idea was to make an album that people would listen to over many years. So, we didn’t want to follow any musical trends of the moment in this album. I hope this album will be the one that people can take from their record archives and play during many Christmases. To work with Esa was really wonderful, and relaxing. We had a great time in the studio together, making jokes all the time. The way that Esa works is relieving. I have learned a lot from him and he has given so much to me. 4) What does the album name “Henkäys Ikuisuudesta” mean? I have my own personal meaning for the name “Henkäys Ikuisuudesta.” I believe that every one of us could find their own meaning for it. It would be nice if the listener himself/herself could find the possible symbolism in it. 5) Can you tell us a bit about the songs on the album? There are many different kinds of songs. The traditional Finnish Christmas songs are especially dear to me. Maybe the reason for this is that as a child I used to sing them a lot and hear them in concerts or on the radio. These songs are the most touching ones for me. Now, when I had a chance to record some of them myself, I felt very honoured. 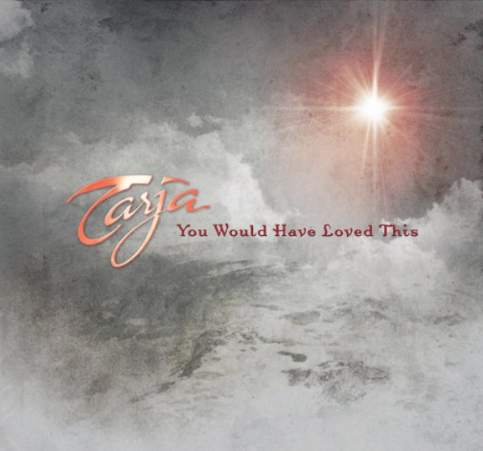 For my Xmas single I chose a song called “You Would Have Loved This.” When I was searching for new songs for the album, I found this song from America. The story of the song is incredibly touching, so I didn’t want to loose the chance to use it. There is also a group of kids from the Tapiola choir singing on the album. They were really lovely kids and we had a lot of fun in the studio together. They sang “Marian Poika” and Lennon’s “Happy Xmas, (War is Over)” songs. My particular aim was to enhance the beautiful melody of the original Lennon song. I hope we have managed to do that! I was a great honour to have Finnish organ player Kalevi Kiviniemi playing on the song “Jouluyö, juhlayö.” The organ brings a special kind of Finnish feeling to the song. Also, I wanted to use a Finnish instrument called the kantele in the same song. A composition from Howard Blake, the song “Walking in the Air,” is also on the album. Like in other countries, we in Finland have been able to listen to the song through the cartoon called “The Snowman.” Actually, the main idea of making a Xmas album came from this song in the beginning. I have performed it already many times and the original idea I had, was to make only one version of it for the album. 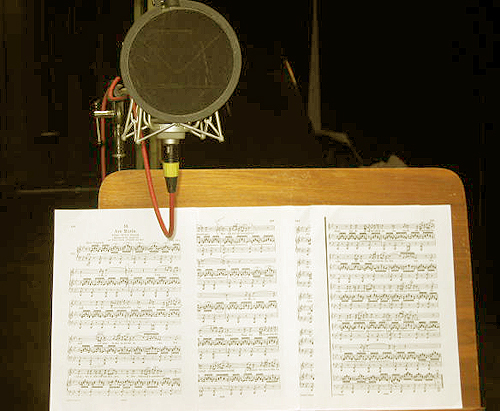 We had a change of plans when the classical musicians came to the studio to record other songs. Meanwhile, they played the arrangements of “Walking in the Air” that Esa did already for my tour in a previous year, just for fun. I listened to that and said that I would love to use this more classical and quiet version for the single and then for the album we could do the different pop/rock version of it. 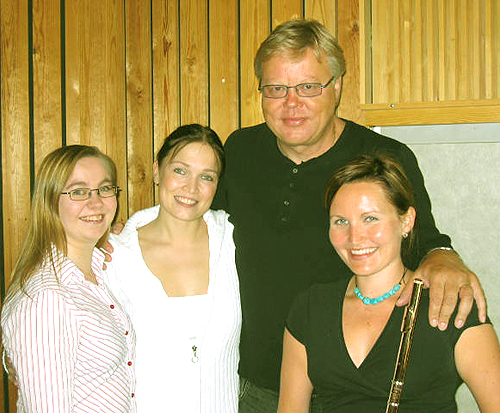 The opening track “Kuin henkäys ikuisuutta” is a composition of Esa´s and mine. I never expected to compose a song of my own for this album, but I am happy it happened. I asked Esa some time ago whether he had a new song for me to use on my album. He played me a song he had composed and I liked some parts in it more than others. There was a melody running in my head and I kindly asked Esa to use that melody and put it together with his own. This is way the song “Kuin henkäys ikuisuutta” was created. 6) Who did the artwork for the single and album? 7) You are performing a Christmas tour at the end of this year. What kind of tour will it be? My plan is to make a quite nice tour of Finland at the end of this year. I have received some requests from people asking why I am doing only seven concerts. Why not more than that? Well, the possibility to do more concerts of course exists, but the main wish for me is to make people enjoy the concerts. The feeling of joy for me comes with the fact that I won’t exhaust myself. I believe I can give more to the listeners this way, by performing these seven concerts now. I also got the invitation to play concerts in Russia. That was a lovely thing to happen, because I have missed performing there. I haven’t been able to go there for the last three years, and I have heard that there are a lot of people waiting to hear me. The timing and idea to visit in Russia fit perfectly for this Christmas tour. Anyway, I need to mention one thing that happened soon after I got the invitation from Russia. I got requests to perform concerts in Brazil, France, the UK, Belgium and Germany. Unfortunately, there is no time for me to visit those places on this tour, but I will definitely keep them in mind for the future. Musically, the concerts are based on the album. I don’t think I will be performing many songs from the album. I will sing with a band this time and I’ll also bring some classical instrument players with me. Hopefully, it will create a nice atmosphere. Just to make it clear, it won’t be an acoustic, classical music tour like my performances at the end of 2005. The feeling between the songs will change, just as it happens on the album. See you at my concerts soon!